WE will be back after new years, please check out my Christmas post on Metacorck's blog. "Christmas and the Crucified God." 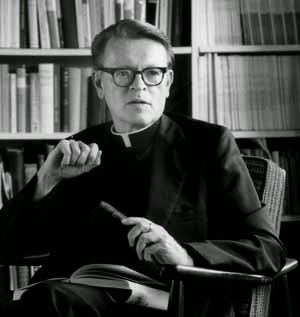 I am talking about Father Raymond Brown (1928-1998), not the G.K. Chesterton mystery detective but the priest Bible Scholar who wrote Death of the Messiah,The mystery about Brown is how he could become the darling of those whose position he sought to destroy and the hated enemy of those whose position he sought to defend? Brown was a devout Catholic he loved Christ he believed in God he sought to strengthen the scholarship of the church he loved, but he has become hated of the evangelicals and conservative Catholics and hero and champion of the atheists. Did the Author of Mark Invent The Empty Tomb? The tree of life from the creation story in Gilgamesh. There are no alternate version's of the Jesus story. There are minor differences in different telling's but there are no other versions. For at least 200 years after the original events the very same major outline is kept as it was written in stone. Myth always proliferates but when everyone knows a story is true they don't dare change it. The fact that there's only one basic Jesus story tells us that it's probably a true story. 2) When historical facts are known to a wide audience, people tend not to deny the basic facts of an event. ...b) People who try to invent new aspects of the event are confronted with the fact that most everyone knows better. ...c) people know the story for a fact and just dont' bother to change it.